While cinemas end up hitting a rough patch in Ramadan, other areas of entertainment light up with a renewed spirit and show us their true colours. So if you like music, get ready because today we’re bringing you Darb 1718’s amazing events for their music program for Ramadan. If you know Darb 1718, you’re sure to know their special series of MazzikaxElSat7 nights that showcase some of the best bands and singers, in addition to StandUpxElSat7 nights. This Ramadan, right after you finish Iftar and the usual Ramadan rituals, you get to enjoy live entertainment at a beautiful outdoor seating area at Darb 1718. The cultural hub has prepared a host of top talents this Ramadan. 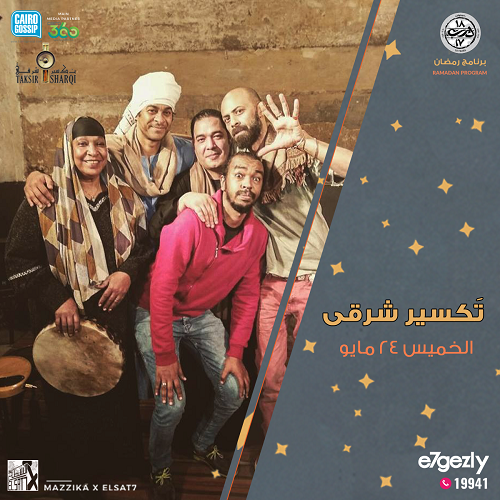 You get to enjoy Taksir Sharqi Band’s unique brand of oriental tunes on Thursday the 24th of May. The following week will feature Basheer performing live folk music on Thursday the 31st of May. Friday, the first day of June sees Noha Fekry & The Jazz Quartet take to the stage with their soothing jazz music, as Al Hezb El Comedy provide some comic relief on two Saturdays, the 2nd and 9th of June, and the Asia Madani performs her amazing Sudanese folk music on Thursday, the 7th, while ElDor ElAwal Band perform their unique mixture of jazz and oriental music on Friday, the 8th of June. You can also get to enjoy Darb 1718’s amazing workshops. 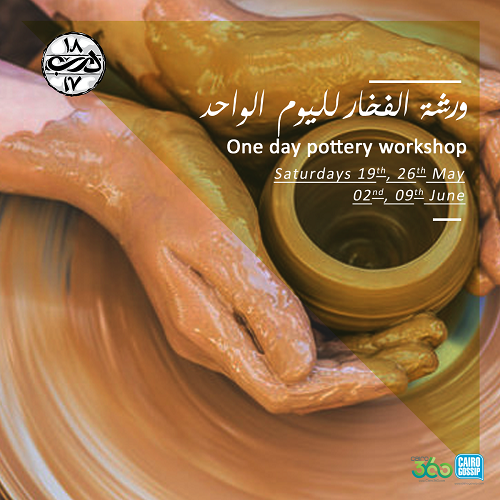 They have a one-day pottery workshop for beginners that runs every Saturday from the 19th of May till the 9th of June. 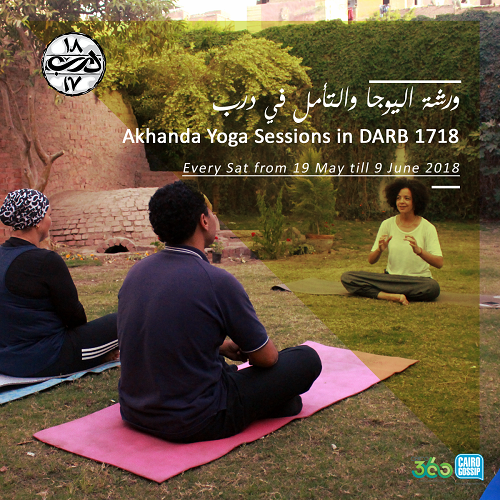 They also have Yoga Sessions by Akhanda Yoga from the 19th of May to the 9th of June. Don’t forget to check out The Cachet Exhibition open every day except Friday, and running till the 3rd of June. A lot of fun activities and concerts await you at Darb 1718, so mark your calendars with your favourite events, and don’t miss out. Check out Cairo 360’s Event Calendar for more information on Darb 1718’s special Ramadan nights!